A Blender Bottle is a plastic mixing cup and lid that contains a spiral mixing ball made of surgical steel. Blender Bottles mix a variety of wet and dry ingredients to make blended drinks, sauces and dressings. All Blender Bottle parts include a dishwasher safe lid and metal mixing ball for fast and easy cleanup. Use a Blender Bottle to thoroughly mix ingredients anywhere you go without the need for electricity. Conventional electric blenders require time-consuming disassembly for proper cleaning. Unscrew the lid of the Blender Bottle and set it to the side. Drop in the steel mixing ball, or BlenderBall, into the open Blender Bottle. 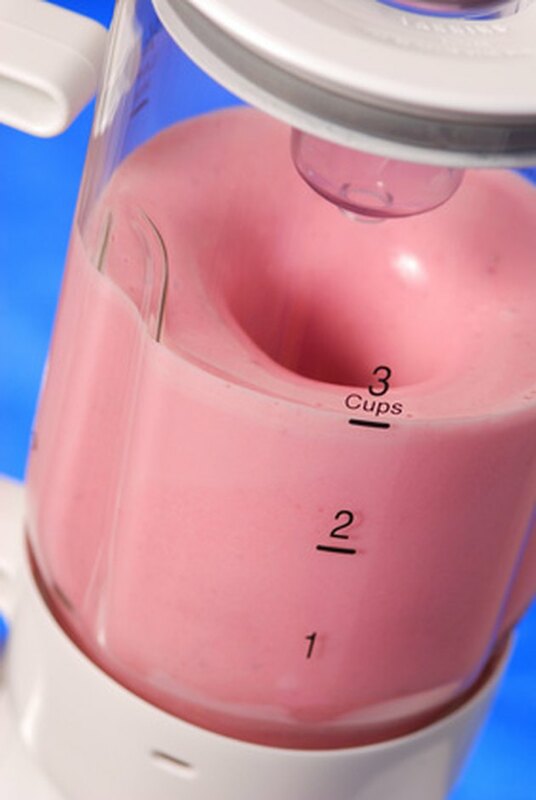 Add the desired amounts of wet and dry ingredients to the open Blender Bottle using the embossed measurements on its side. Many Blender Ball users make diet drink mixes and protein powder shakes on-the-go with the sturdy plastic container. Wipe the threads at the top of the bottle clean with a damp sponge if they go any of the ingredients on them. Screw the lid back onto the Blender Bottle and make sure the snap-top lid is pressed closed. Shake the Blender bottle vigorously in all directions with your thumb on the snap-top lid for about 15 to 20 seconds. Check the condition of the contents of the Blender Bottle to determine if you need to continue shaking. Look for undissolved deposits of dry ingredients and continue shaking in 10 second sessions until they are gone. Place the Blender Bottle on a flat surface and carefully open the snap-top lid. Drink directly from the Blender Bottle or pour the contents into a cup or container.